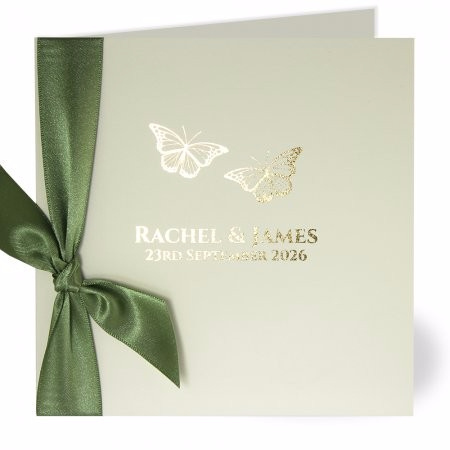 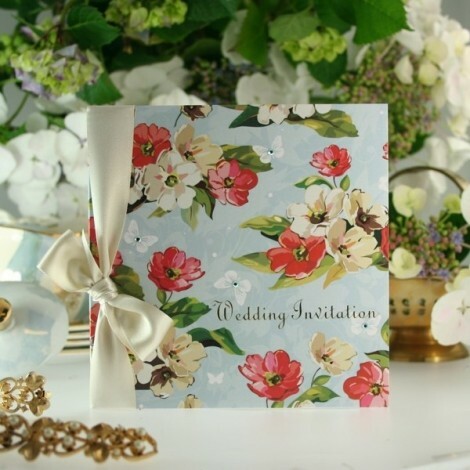 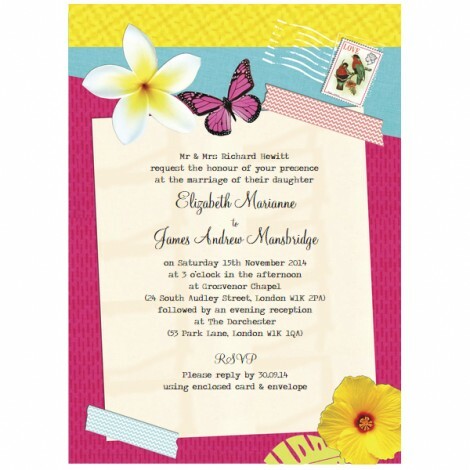 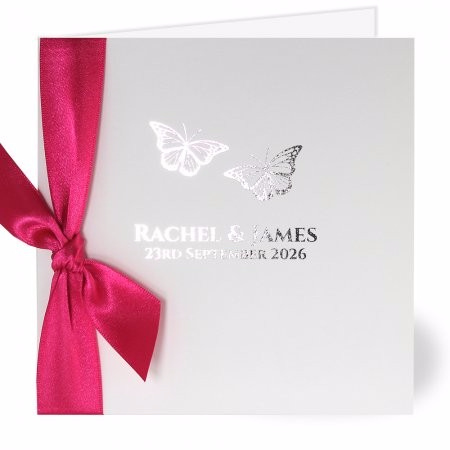 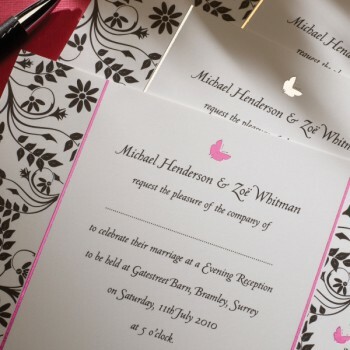 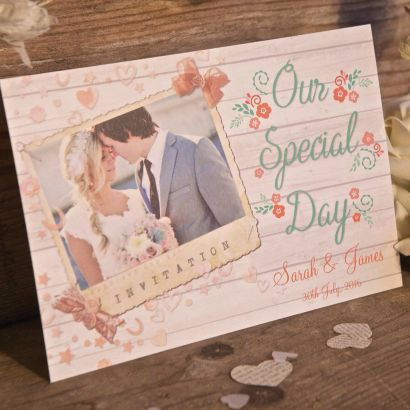 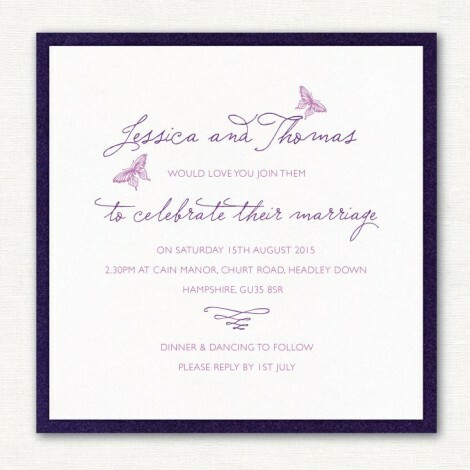 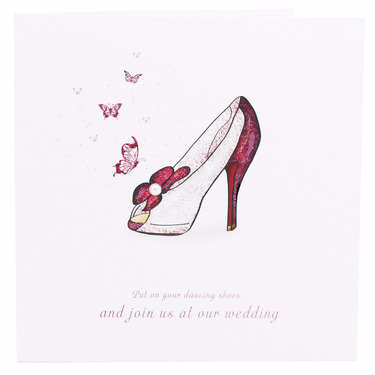 The ever popular butterfly themed wedding is a firm wedding theme favourite and there is no shortage of wedding invitations to cater for the demand. 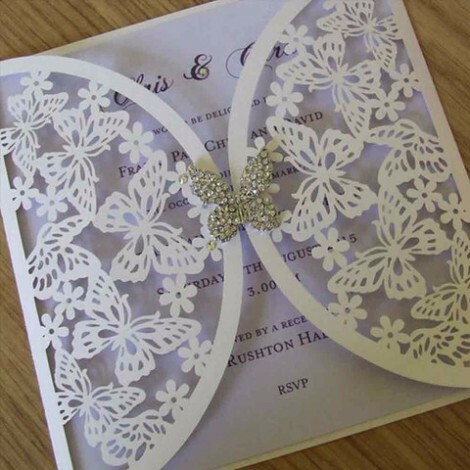 Wedding stationery designers will usually pick up on the delicate nature of a butterfly’s wings to produce intricate designs which are particularly suited to die cutting or laser cutting. 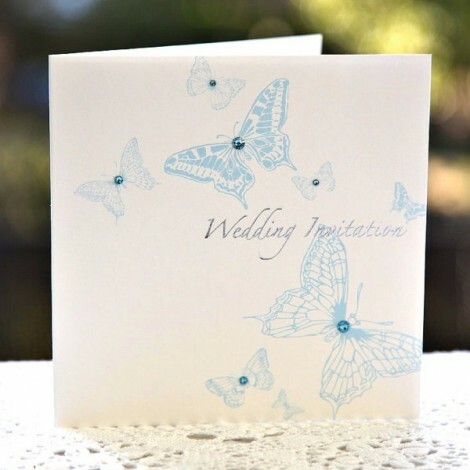 Be careful not to overdo the butterfly theme for your wedding. 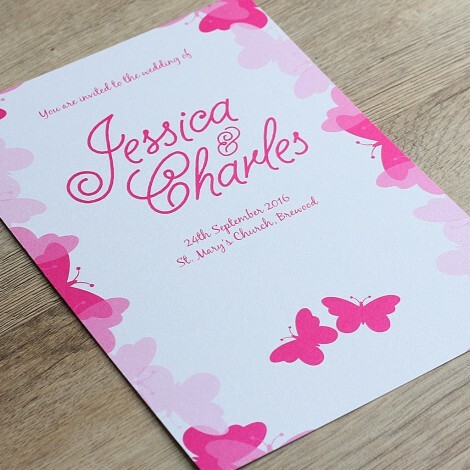 Simple designs are often among the most effective. 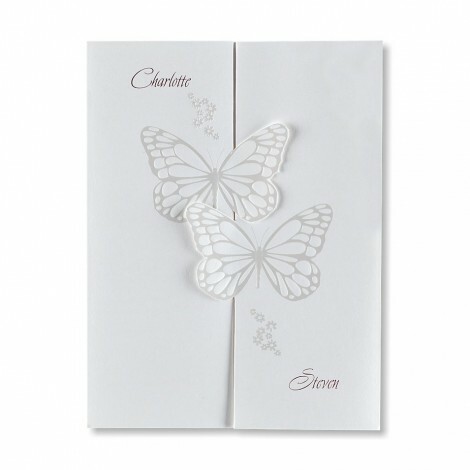 Many of the designs we come across consist of nothing more than a selection of cheap silk butterflies stuck to a flimsy piece of card. 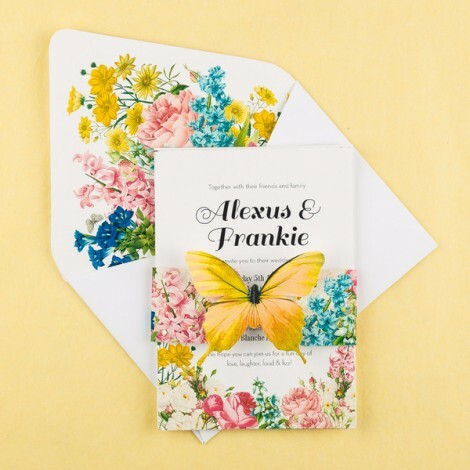 These over zealous and unimaginative designs look like a sickening display drawer from an over-enthusiastic butterfly collector. 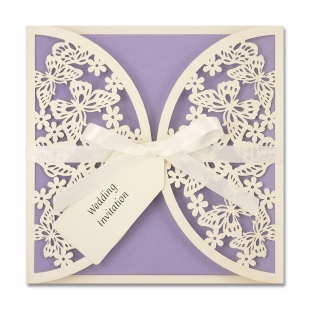 You will be pleased to hear that we have not included any such designs among this section of the gallery.